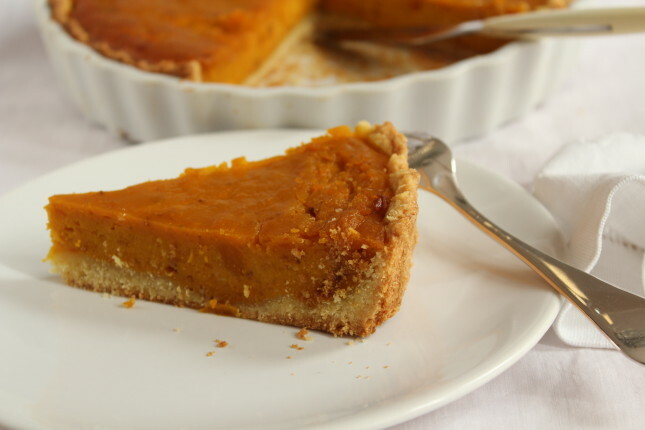 Pumpkin pie, or torta di zucca, is a typical American dessert, often prepared to celebrate Thanksgiving. When I first ate it in the US, I thought how I might add a bit of Italy to this recipe. The recipe I propose is my creation, with some additional, typically Italian ingredients in the filling, such as amaretti and amaretto di Saronno liquor, while the crust is prepared with pasta brisee instead of American pie dough. The taste of amaretti goes very well with that of the pumpkin making this dessert doubly delicious (I also use this combination of ingredients with pasta, in the pasta con zucca e amaretti recipe. Pumpkin pie is traditionally served with sweetened whipped cream, but I personally prefer to eat it plain, to fully enjoy the pumpkin’s distinctive flavor. Every time I serve it, it’s really a big success, something a bit different to savor. 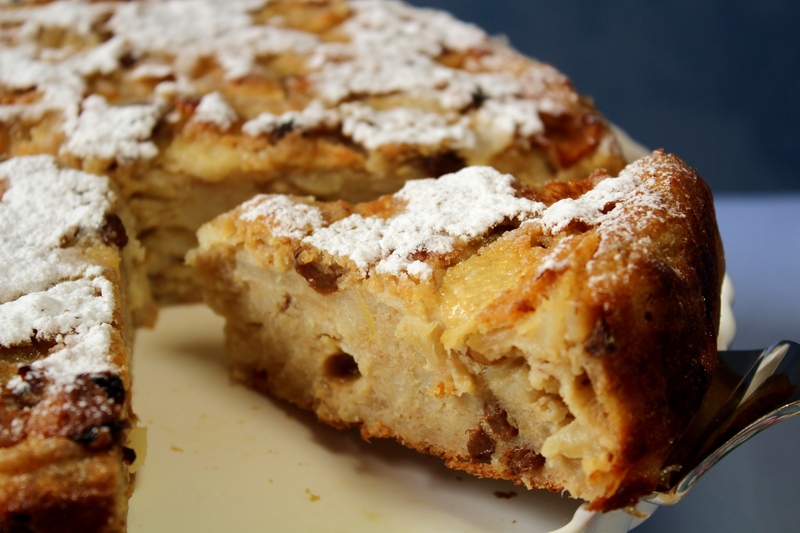 Today I would like to present miascia (mee-AH-sha), a typical cake from my beautiful home, Lake Como. It is one of the traditional peasants’ sweets prepared with stale bread (“pan poss” in the local dialect) with the addition of dried and fresh fruit. Most of the farmers’ cakes are prepared with dried fruit or fresh fruit (both in this recipe) to compensate the lack of sugar that, in the past, was very common among the less well off. The fruit actually adds minerals and vitamins that sugar doesn’t have, making this cake also nutritious. In the past miascia could even replace a full meal or be served on very special occasions such as parties or celebrations. Today it is enjoyed as a great dessert accompanied by a fortified wine or vanilla ice cream. It is also a tasty snack, going well with a glass of milk or a cup of coffee. 6. Pour the batter into the pan and cook for 15 min. After this time, lower the temperature to 150°C and bake for an additional 30 minutes until golden. 7. Remove from oven and let cool on a rack for about 15 minutes. While your cake is still warm, sprinkle with powdered sugar and enjoy.